At least 137 people have died of yellow fever in the country amid the largest outbreak Brazil has seen since 2000, according to officials. The Health Ministry said Thursday that the number of confirmed cases went up to 424, adding 933 cases, and 112 suspected deaths were under investigation. The largest number of infections were recorded in the southeastern state of Minas Gerais, where 325 confirmed cases were reported; 111 people died. Neighboring Espirito Santo followed with 93 cases, while four cases were confirmed in Sao Paulo where eight people died of the disease, according to the state's health authority. Meanwhile, Rio de Janeiro health officials announced last week a mass vaccination campaign in the state as a precaution amid the outbreak. The first death from yellow fever in the country's third most populous state was confirmed by the State Health Ministry on Wednesday. The European Center for Disease Prevention and Control has issued a warning against the "current yellow fever outbreak in Brazil which began in January and has now logged more than 1,500 suspected cases". 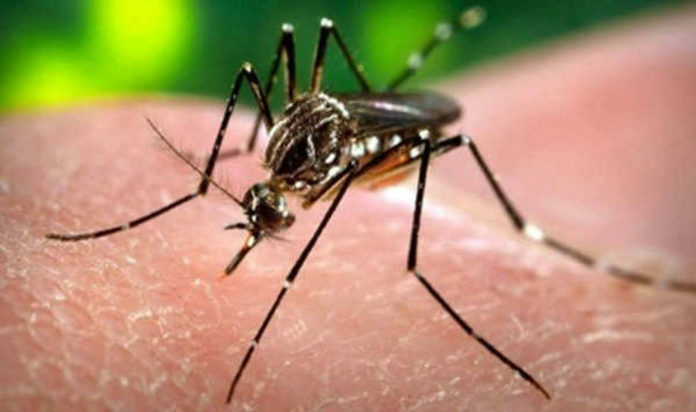 The outbreak "should put travelers and health care providers on high alert for the mosquito-borne disease," ECDC said Thursday. The World Health Organization, earlier in March, had warned international travelers visiting Espirito Santo against the fastly spreading disease in the state, recommending vaccination at least 10 days prior to the travel. The advice was published on the WHO's official website on March 6. "Occasionally, infected travellers from areas where yellow fever occurs have exported cases to countries that are free of yellow fever, but the disease can only spread easily if that country has mosquito species able to transmit it, specific climatic conditions and the animal reservoir needed to maintain it", according to WHO. Usual symptoms include fever, muscle pain, backache, headache, shivers, loss of appetite, and nausea or vomiting, with most patients improving within 3 to 4 days. In severe cases, however, high fever returns within a day of symptoms disappearing. "The patient rapidly develops jaundice and complains of abdominal pain with vomiting. Bleeding can occur from the mouth, nose, eyes or stomach. "Once this happens, blood appears in the vomit and faeces. Kidney function deteriorates. Half of the patients who enter the toxic phase die within 10 to 14 days, the rest recover without significant organ damage," WHO says. But there is no vaccine for monkeys who are dying en masse in Espírito Santo and Minas Gerais, the two states so far worst hit. “Some 80 to 90 per cent of the brown howler monkeys are infected or have already died,” says Sergio Mendes at the Federal University of Espírito Santo in Vitoria, Brazil. “This is a true catastrophe. Mendes knows of 400 howler monkey deaths in the state, and he believes this is likely to be only 10 per cent of the total, around 4,000 at least, with the greatest losses happening largely unseen in remote forested areas.